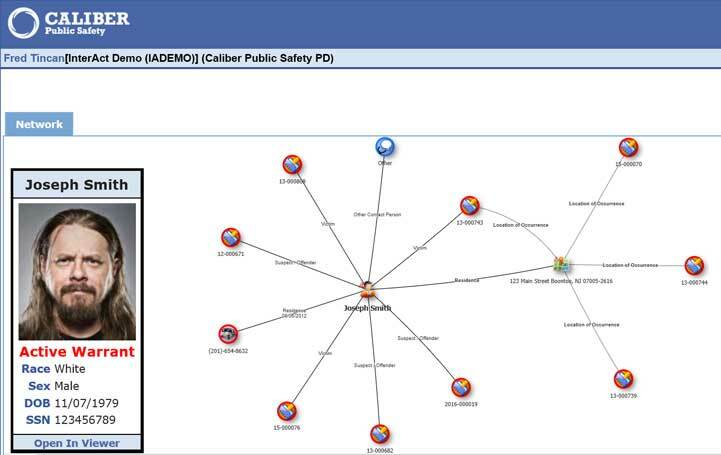 Understanding connections between persons, vehicles, addresses, phones, and their involvement in police-related events is critical to identifying complex relationships and improving the likelihood of solving more crime. Caliber’s Online RMS Crime Visualization tool provides new ways for you to see and interpret your data without the need to purchase additional software. The Crime Visualization Tool is available from the Incident Report, Field Contact, and Person, Vehicle, Address, and Gang Master Indices Detail pages. Elements associated to the main display node can be expanded to further unveil a network of associations.